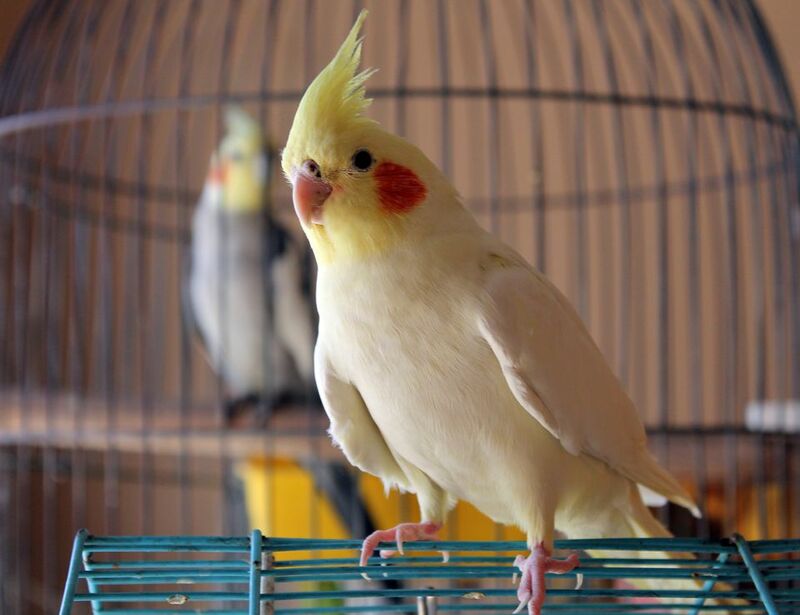 Estimates say that more than 5 million households in the U.S. have pet birds. Birds come in an amazing variety of shapes, colors, and personalities. It is important to find the right bird that fits your personality and lifestyle. Some birds need a vast amount of attention and work, especially larger parrots, but even some smaller birds need a lot of love and handling in order to be happy and friendly. There are many things you need to consider before you settle on a species, including the lifespan of the bird, size of the cage it needs, foods it will require, the noise level of the bird, and time and attention the species needs. Many people are drawn to parrots such as Amazons, African greys, cockatoos, and macaws as they are gorgeous birds that are very trainable. Greys and Amazons are coveted for their talking abilities. These very trainable birds are also the most challenging and most demanding as pets. If you are interested in a parrot, it is extremely important to examine your motivation for getting a pet bird, along with your ability to commit to hard work needed to successfully live with one of these demanding birds over the long haul (some can live up to 60 years). Beginners who do not have a lot of time to spend with a pet bird should consider species such as canaries or finches. If you have a bit more time and an interest in parrots, then you could consider parakeets (budgies) or cockatiels, which are smaller members of the parrot family and are friendly, relatively quiet, and easy to tame if you get a young bird. Other members of the parrot family that you might want to consider as a first-time bird owner would be lovebirds, pionus parrots, poicephalus parrots, parrotlets, Quaker parrots, and grey-cheeked parakeets. And while doves and pigeons are often overlooked as pets, they can make good companions as they are quiet and sociable. There are things around the home that are considered hazardous to birds. Things you probably wouldn't think of like your cookware, scented candles, and deodorizers. The respiratory systems of birds are delicate. If you are a smoker, then a bird might not be the right fit for you. Some plants can kill them too. It is important to know about all the household hazards that can harm a bird. Some birds require stimulation and need to keep their brains busy in order to curb less than appealing behaviors like excessive noise or destroying its cage. Much like children, if you give parrots toys to keep them entertained, these positive activities can go a long way. There are many kinds of toys you can provide for them. There are foot toys, hanging toys, and vertical toys that are hung on the inside wall of a cage that acts as a play board, and there are puzzles. You might want to invest some time in training your pet bird. Training helps strengthen the bond you have with your parrot. Most birds look forward to the one-on-one attention involved in training sessions. With successful training usually comes lots of praise and attention and their favorite treats. In addition, teaching some simple commands will make handling your parrot easier. Keep your bird healthy and wash your hands every time after you handle your bird. Birds can carry germs that make people sick. These bird-borne illnesses are rare in the United States, but you will still need to be vigilant about hand washing. Psittacosis or parrot fever is a potentially serious disease of pet birds, and it can be transmitted to humans. The risks are not great, but it is best to be aware of it.